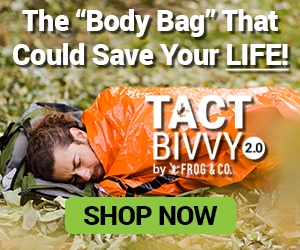 There may not be one “ultimate survival tool” – but trash bags come pretty close when it comes to versatility. Turns out there’s a ton of stuff you can do with a trash bag (besides store trash of course), that is actually handy for survival. 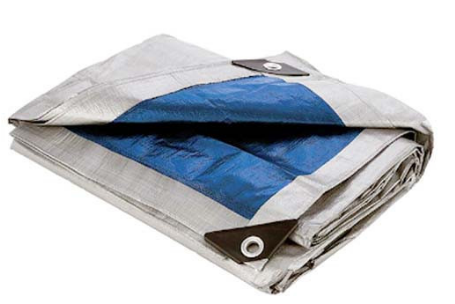 Plus, the great thing is they fold up really compactly and store easily in your go-bag. 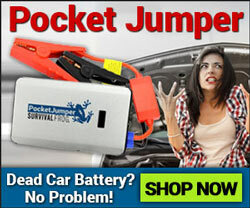 Keep trash bags in your car, camping gear and bug out bag in order to take advantage of this essential survival tool. If you need a place to rest your head for the night, try a trash bag. Fill it with leaves (no sticks!) and fold the remaining, empty section underneath. There you go – makeshift pillow. Wave the trash bag around in the air in order to signal rescue teams. Make sure to use bright yellow bags for these; you can see them more clearly at night and with less light than you can with darker colored bags. 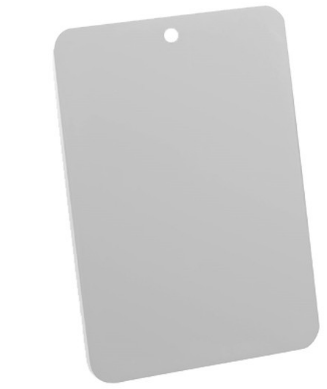 You can also use this unbreakable stainless steel signal mirror to help others find you easily! Check it out here. If you’ve built a shelter, you can help insulate it with trash bags. Lay bags on the roof, and then in-between layers of branches and leaves on top of that to help keep water out. Fill the bottom of a large trash bag with air, and cinch up the middle section with rope. Once the middle is tied off, fill the top section of the bag with air, and tie that off at the end as well. You’ve now created two floating devices. Slip one section under each arm, and they’ll help keep you afloat as you cross the river. Note: If you need a free arm to help swim, you can put both sections under one arm instead. If it’s the dead of winter and you forgot to bring your snow pants (or just didn’t want them taking up space), never fear – you can cut up trash bags and tape them together around your legs to create waterproof snow pants. Congratulations – you’ve just saved yourself hundreds of dollars from purchasing these at the sports outlet! If you’re in the wilderness and don’t have a tent, you can always take a trash bag and tie it flat in-between two trees. Get underneath it, and you’ve got a protective covering from the sun. If you’re looking for extra durability and a 100% waterproof guarantee, you can always use this 10’x12′ heavy duty all-purpose tarp instead. Unlike a trash bag, its exterior is UV and weather resistant (as well as tear resistant AND mildew resistant! ), and has metal grommets in the corners so you can tie it down securely. Plus, at 10′ x 12′, you can share the wealth by allowing the rest of the group get out of the rain. See it by clicking here. Fill a trash bag with water, leave it in the sun to warm up, then poke holes in it and stand underneath for a refreshing shower. Make sure to use a black trash bag, as it’ll heat up way faster than light-colored ones. If you want a more efficient way of doing this, check out our awesome Solar Heated Shower. It holds 5 gallons of water, and is built to absorb the sun’s rays (even in 46°F weather! ), sending a cascade of warm to hot water on you in just minutes. 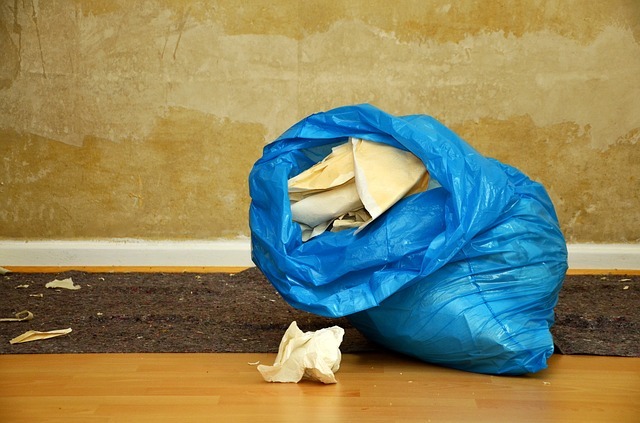 Plus, you can reuse this same bag to shower again and again…unlike a trash bag. Check it out here. Cut off sections of the trash bag and tie them around your shoes (like booties) to keep your feet dry from the snow, rain and dew. If you’ve got a bucket, you can line it with a trash bag and you’ll have an emergency toilet ready to go. 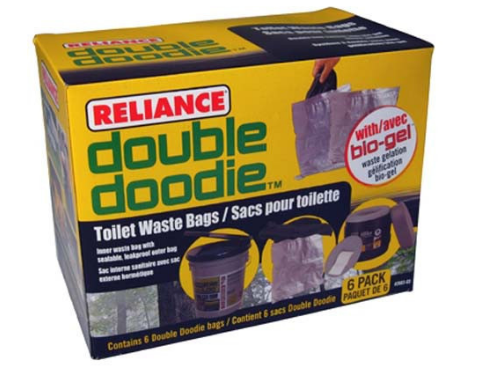 However, I must say, ordinary trash bags can’t stand up to our emergency-specific Double Doodie toilet waste bags. 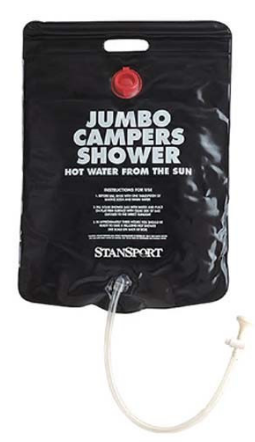 Not only do these have a double zip lock to ensure leak-proof and puncture-proof durability, but they’ve also got a great gelatin powder that solidifies liquid waste and masks unpleasant odors, leaving your campsite smelling fresh and clean. 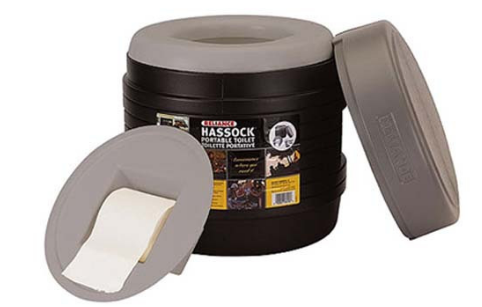 These bags work brilliantly with the awesome Hassock portable toilet. It has a comfortable, contoured seat, a removable inner bucket for easy waste disposal, a toilet paper holder AND an inner splash cover (so it pretty much kicks the crap out of your standard bucket…no pun intended). Check them out by clicking on their respective pictures below. If you’re feeling chilly in your shelter, you can always tape trash bags to the windows in order to create some extra insulation from the cold. If you’re in an emergency and need to stop yourself from bleeding FAST, you can always cut up a long strip of trash bag and wrap it around the area to make an effective tourniquet. If you’re bruised and need to reduce the swelling, scoop snow or ice into a corner of the trash bag and use it as a makeshift ice pack. If you’ve got a sprained or broken arm, the last thing you want to do is move it. Wrap a heavy trash bag around yourself to make a sling and mobilize the limb. This is an excellent use for brightly colored trash bags. If you want search parties to find you, cut the trash bags into long strips, and tie them around trees/branches as you travel. This practice will also help you retrace your steps if you get lost. Now you might have noticed that I didn’t mention the idea of using a trash bag as a poncho (which is potentially the most obvious use of them all). You might wonder why…well it’s because, frankly, I think what we’ve got is better. Our heavy duty poncho isn’t just some thin little kitchen bag – it’s super tough, made out of heavy duty, durable vinyl. It also has an attached hood and electronically welded seams for extra protection and warmth against the elements. I love that the color is bright yellow – it really stands out and makes you easily seen in a thick forest. 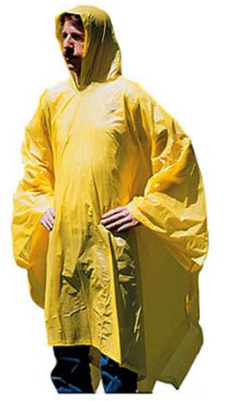 Plus, the poncho is 70 x 90 inches – so, unless you’re over 7.5 feet tall, you know this thing will cover your body. Save yourself an extra kitchen bag and get this thick, heavy duty, rain and sleet-thwarting poncho instead by clicking here or on the image below. When the raging storms blow, you’ll be grateful you got this to protect you. 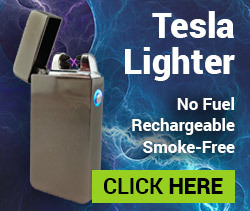 This entry was posted in Camping, Emergency Preparedness, Emergency Survival, Outdoor Survival, Prepping, SHTF, Survival Basics, Survival Hacks, Videos, Wilderness Survival and tagged bug out, bug out bag, bug out bag essentials, DIY, DIY Survival, diy survival tools, prepper hacks, survival, what to put in a bug out bag on June 6, 2016 by Survival Frog.